Hammer Storm Update is Now Live! The Hammer Storm Update is now live! To see the announcement post for the patch, click the image above. Check out the full 343i Community Update and stay tuned to twitch.tv/halo & The Halo Channel for your first look at the new Hammer Storm update going live February 26th! Based on feedback from the community, there is a new permanent Social playlist featuring rotating gametypes. This week is Social CTF! The gametype will carry into next week, so even if you're busy on the weekend you can still take part. 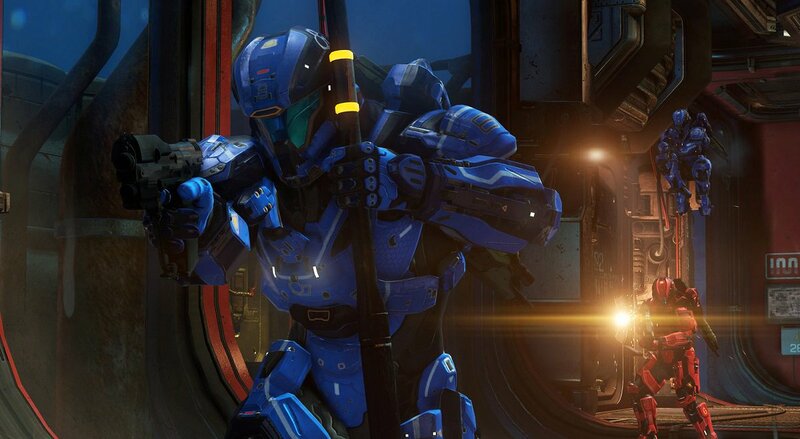 Stay tuned to twitch.tv/halo for a future stream highlighting the February updates! Epsilon's 'Jimbo' recaps his time over at the Xgames Event! 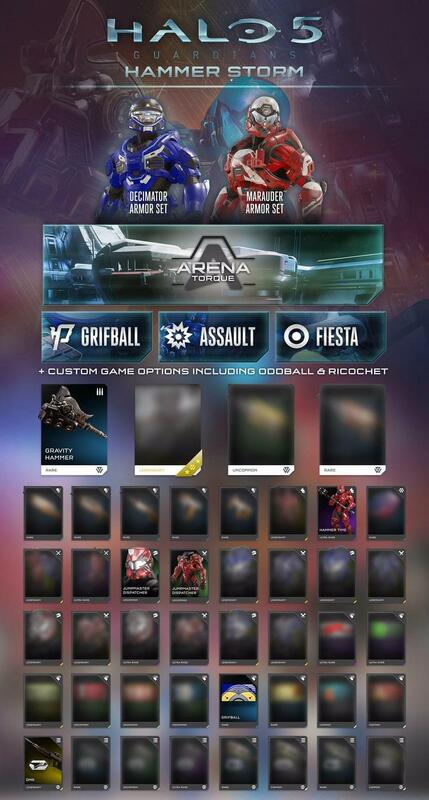 Similar to the Warzone REQ Packs, the Arena REQ pack will be available to purchase for $24.99 and can only be purchased/downloaded once per profile. 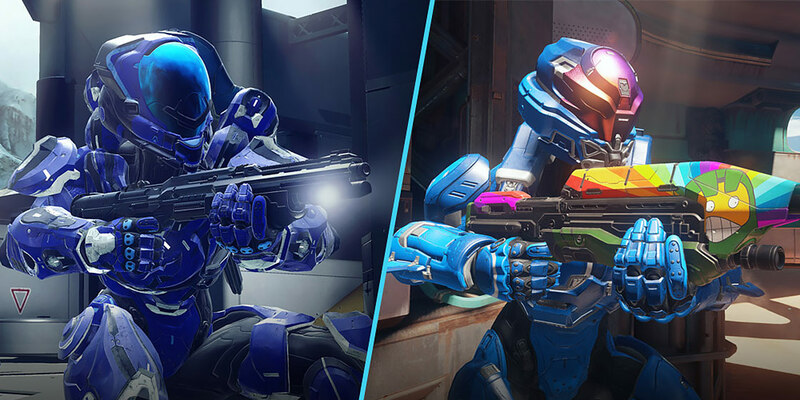 The Arena REQ Bundle is guaranteed to include the Mark V Alpha armor set inspired by Master Chief's armor in Halo: Combat Evolved, as well as additional chances to unlock Mythic and Legendary visual customization options. What changes have you most excited? The first 7 teams have now secured a spot at the Halo World Championships. Game Day Slayer weekend playlist is live! Kick back, relax, and play some games of social Slayer before (and after) the big game. 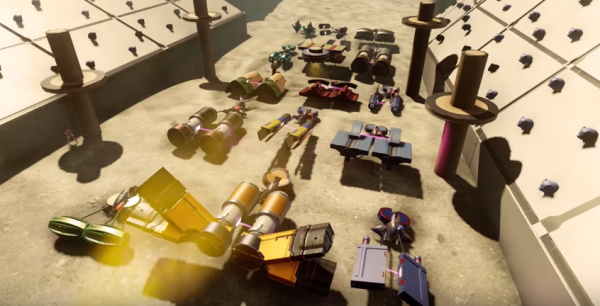 Halo 5 Forge map brings Star Wars podracing to the masses. Podracing is probably the best thing about The Phantom Menace, and this latest Halo 5 Forge map helps prove it. Xbox Live user CaptainDireWolf is the author of a new Halo 5 Forge map that recreates the famous podracing scenes from Star Wars: The Phantom Menace. The expertly-made map is called The Boonta Eve, which is the name of the tournament in the film. As of the time of writing, there’s no way to determine winners from losers. However, there are plenty of other notable details. Firstly, CaptainDireWolf did a great job recreating the pods using in-game assets. Dying spawns you in a cage up near the stands to shoot your opponents.